Shotsie will be showing Ceramic sculpture, Paintings and works on paper, Kristine Gorm,an will be displaying a collection of large scale oils on canvas of KOI FISH! The show has an opening party with amazine food and wine on August Sixth Saturday from 7pm unitl? Next entry Art exhibit party! 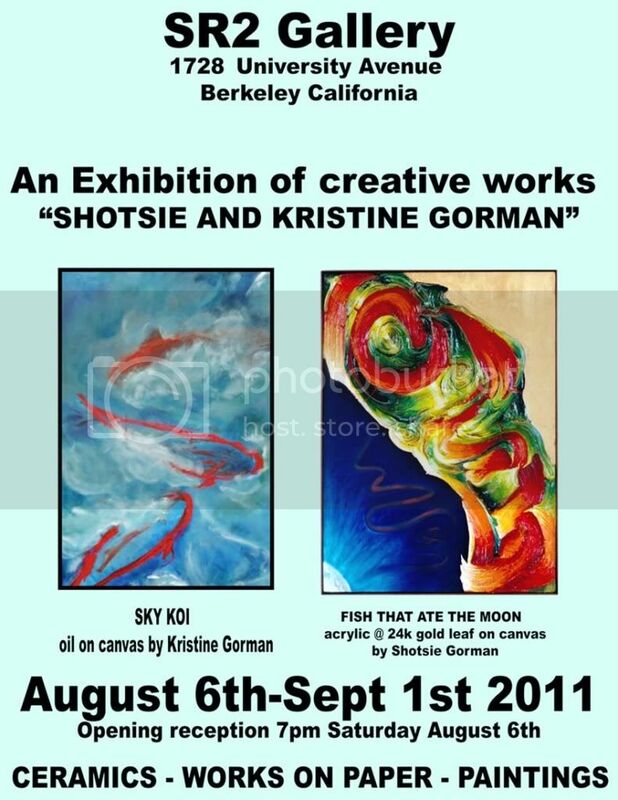 Kristine and Shotsie Gorman's Joint exhibit at SR2 Gallery! Wishing i lived in your area right about now, so that i could attend that show! that looks awesome and i love the beautiful rich colors of "fish that ate the moon". Your a very talented couple! hopefully i'll remember this when Augus rolls around! I'll post it as it draws closer !